If you happen to pickup a copy of the Boston Globe today, and flip over to the Globe West section you might be in for a dose of deja vu. Printed below the shot of the gal jumping into the water is a photo that *I* took! I shot it a few weeks back while visiting my nieces and nephew in Boston on the 4th of July. Thanks to the power of the Internet, folks from Garden in the Woods were able to track down my blog post that mentioned them. 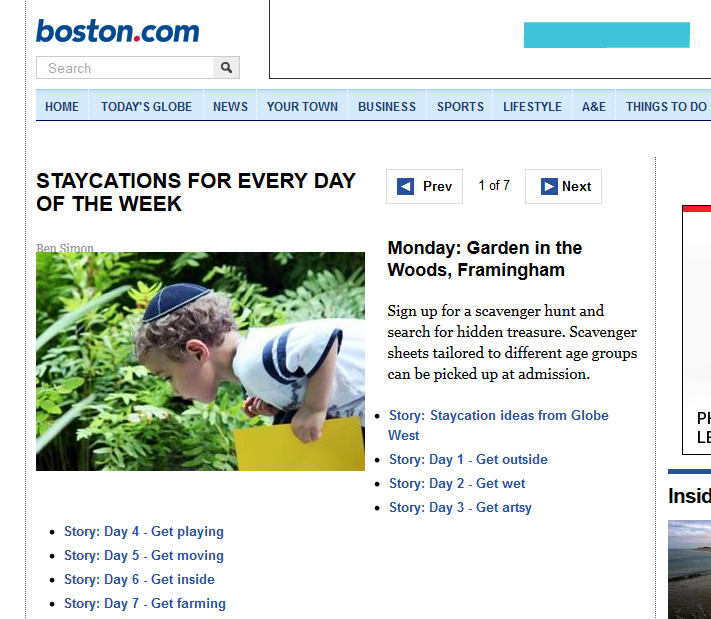 They asked if I wouldn't mind allowing them to pass on one of my photos to the Globe for publication. Mind? How about I'd be beyond flattered. And everything came together so that it could indeed appear in print. 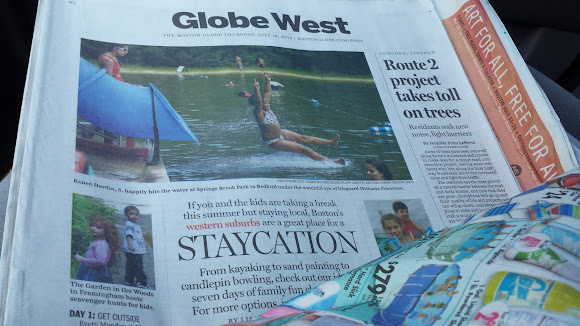 A special thanks to my Sister-in-Law who had to jump through a series of hoops (including getting a hold of a physical copy of the Globe) to make this happen.